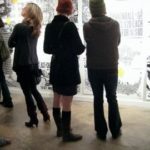 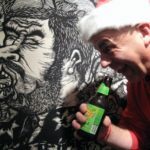 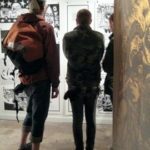 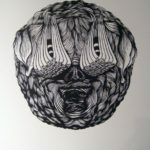 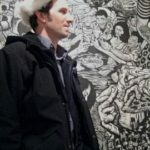 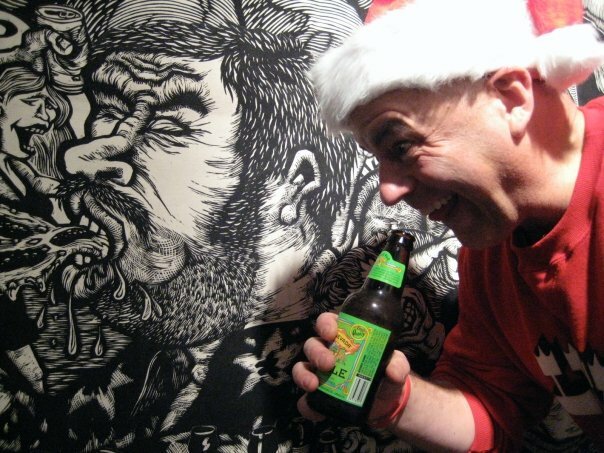 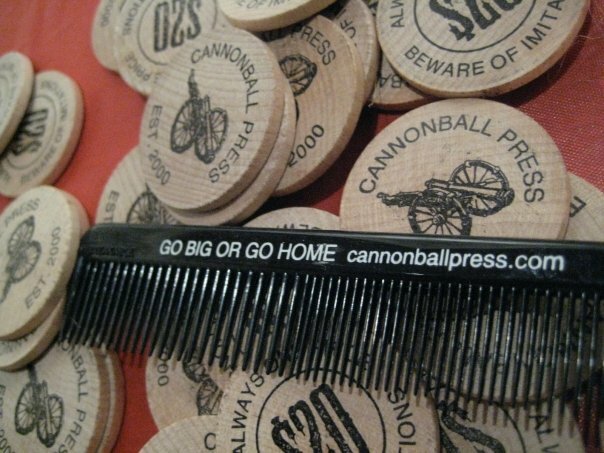 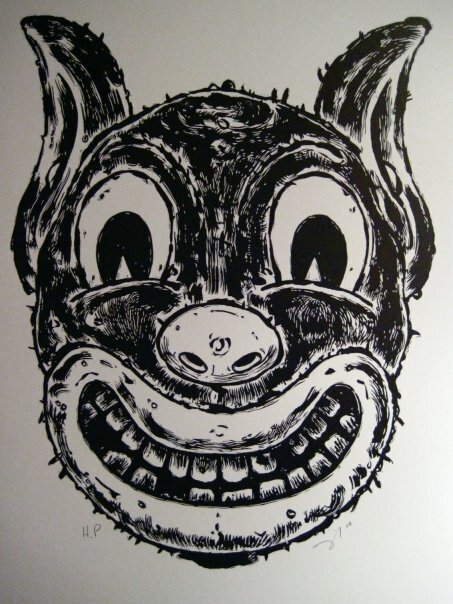 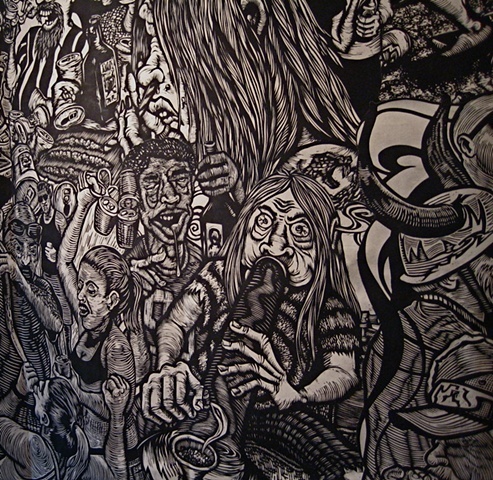 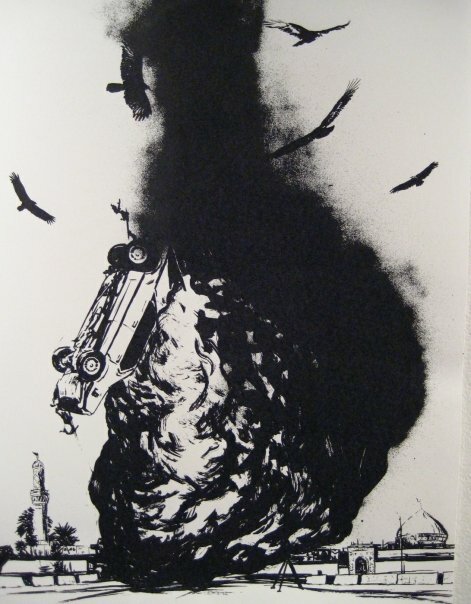 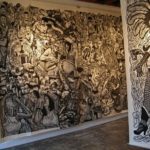 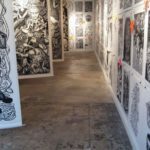 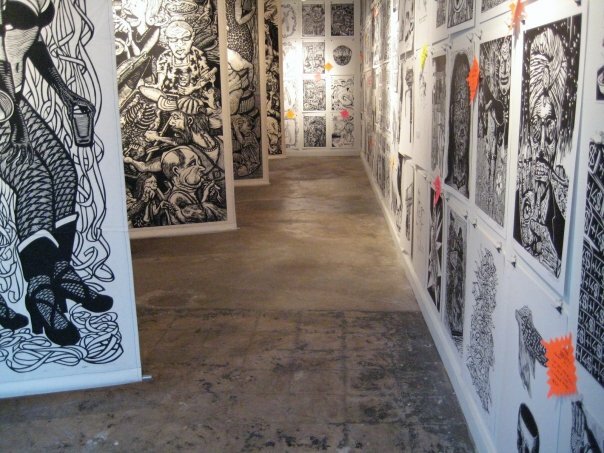 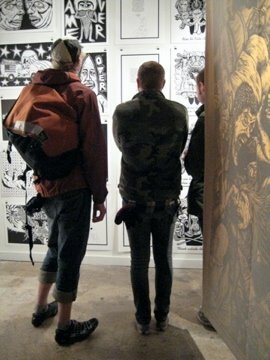 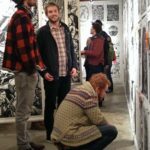 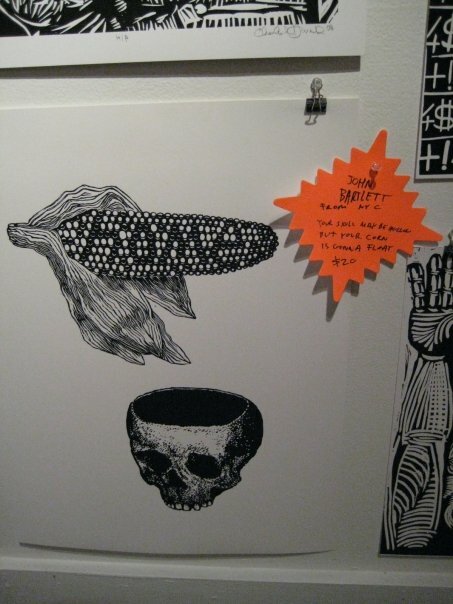 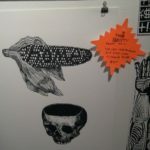 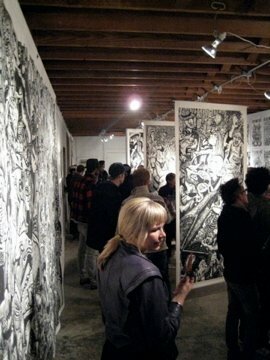 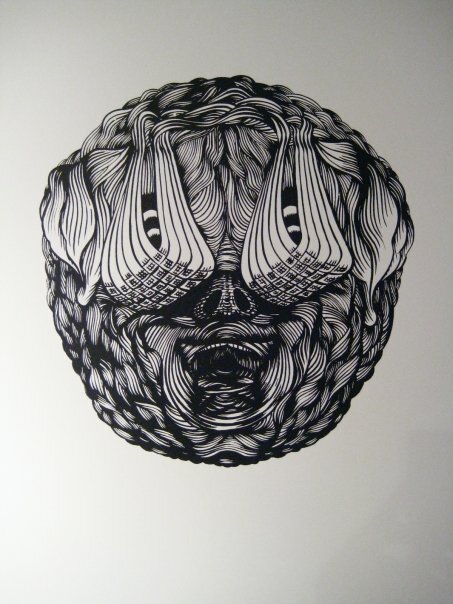 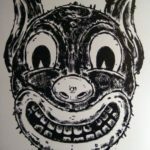 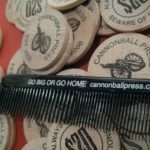 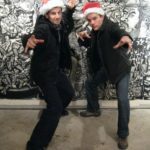 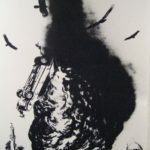 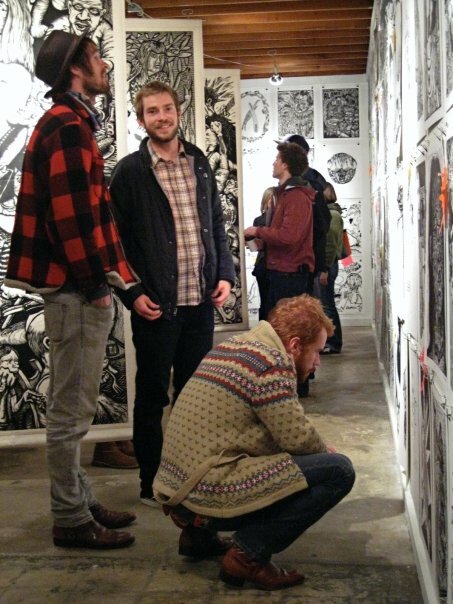 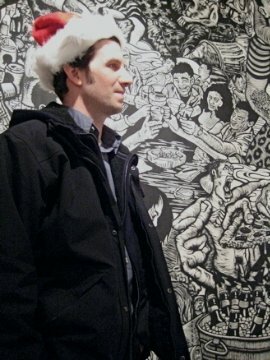 World Kings of scruffy pirate black and white, hillbilly printmaking, New York’s legendary Cannonball Press return to Raleigh (their third show at Lump) with an irrefutable deluge of relief prints. 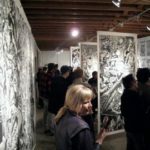 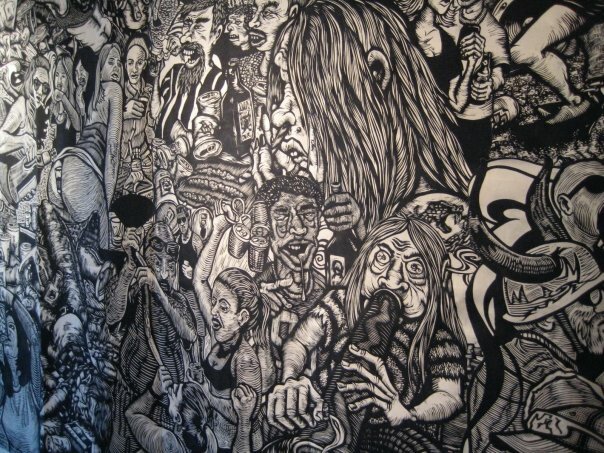 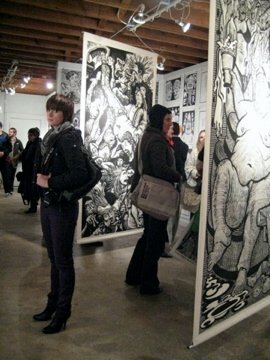 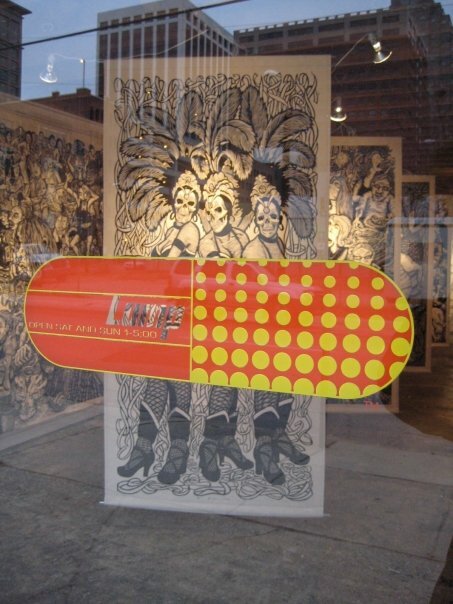 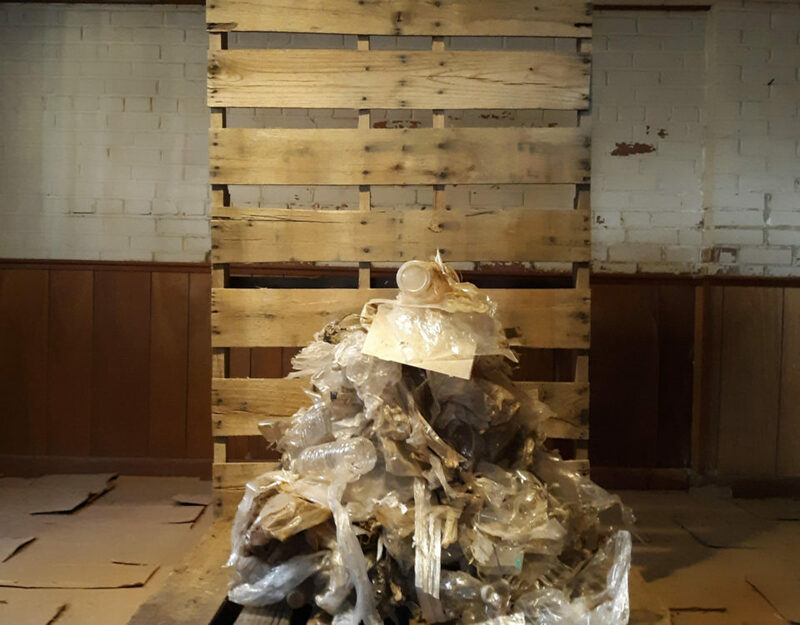 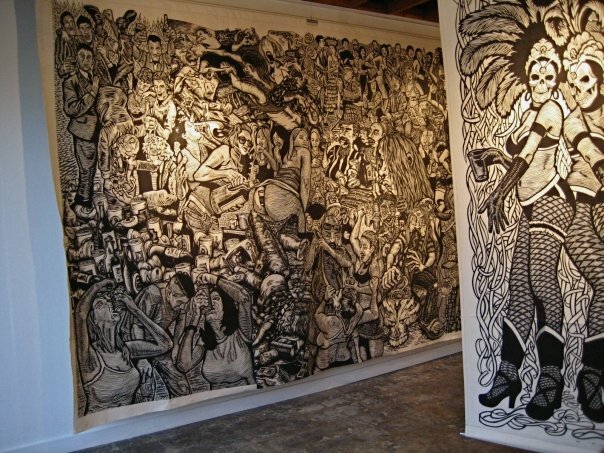 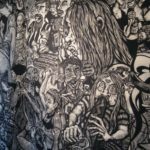 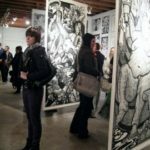 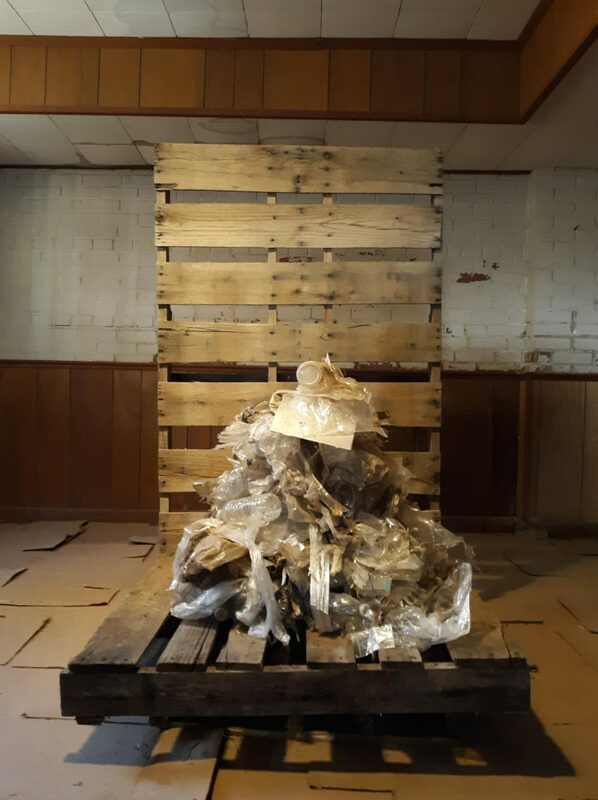 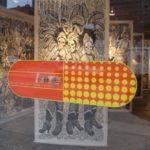 The show will feature a huge new pile of limited-edition 20 dollar prints, new 4×8 foot woodcuts on canvas, and supersized collaborative woodcut Franken-banners, depicting familiar scenes of American-style debauchery. 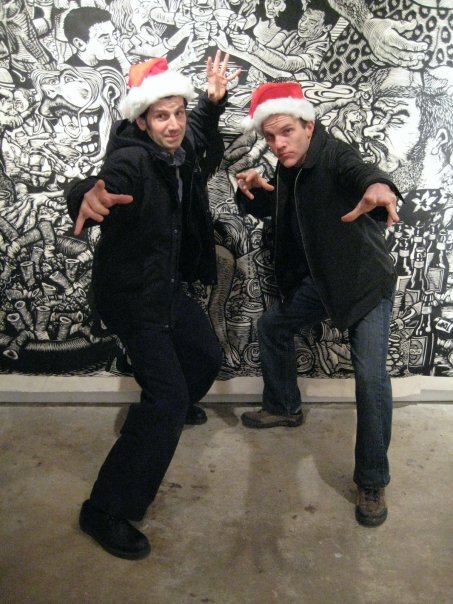 For nine years, Martin Mazorra and Mike Houston have been publishing high-quality limited-edition black and white relief cuts, silk-screens and lithographs, and are proud to represent the following masters of grumpy, soulful, scabby, charged printmaking: David Ellis (Barnstormers), Jenny Schmid (Bikini Press Int’l), Joe Stauber, Swoon, David Watne, Maya Hayuk, Bill Fick (Cockeyed Press), Mike Ming, Dennis Mcnett (Howling Print), the Amazing Hancock Brothers, and many more!